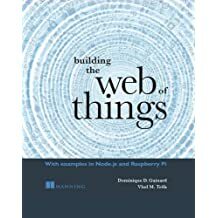 Web of Things – Architecting the Web of Things, for techies and thinkers! "The Web of Things (WoT) is a term used to describe approaches, software architectural styles and programming patterns that allow real-world objects to be part of the World Wide Web. Similarly to what the Web (Application Layer) is to the Internet (Network Layer), the Web of Things provides an Application Layer that simplifies the creation of Internet of Things applications"